It’s easy to drive and earn on your schedule with GoCatch. But before you get started, let’s go through the main features of the GoCatch Driver app. 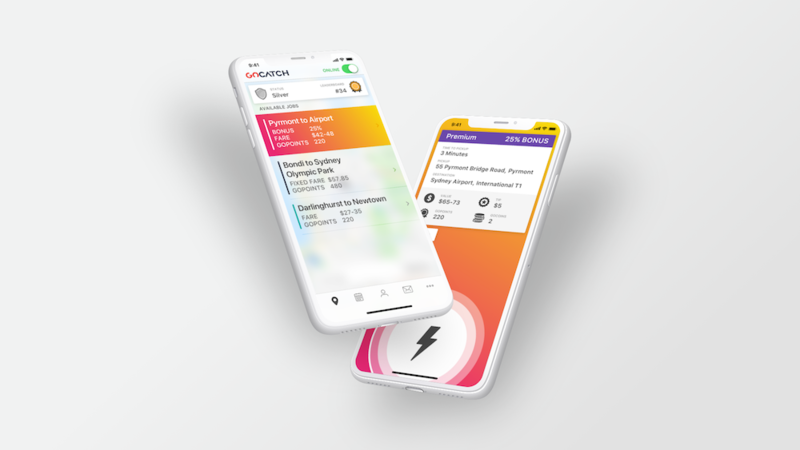 The GoCatch Driver app now has a completely new look. You can see Advance Bookings, your Profile, Messages and More (Settings). To find your payments and transaction history go to More > Account or tap your Account Balance. Jobs will stay available to you until it is accepted by a driver – more jobs, more flexibility. We’ve also created a list view called Cover Jobs, so you can see multiple jobs on a list. 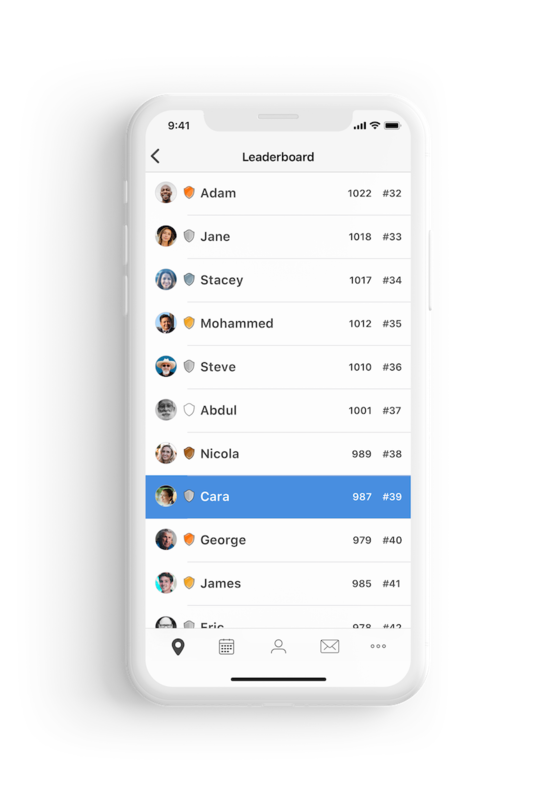 At the top of the screen you can see your Status and Leaderboard position. When a new job request appears, it will show you the type of job it is, the pickup and destination address* and the estimated total fare for the trip (excluding tolls)*. 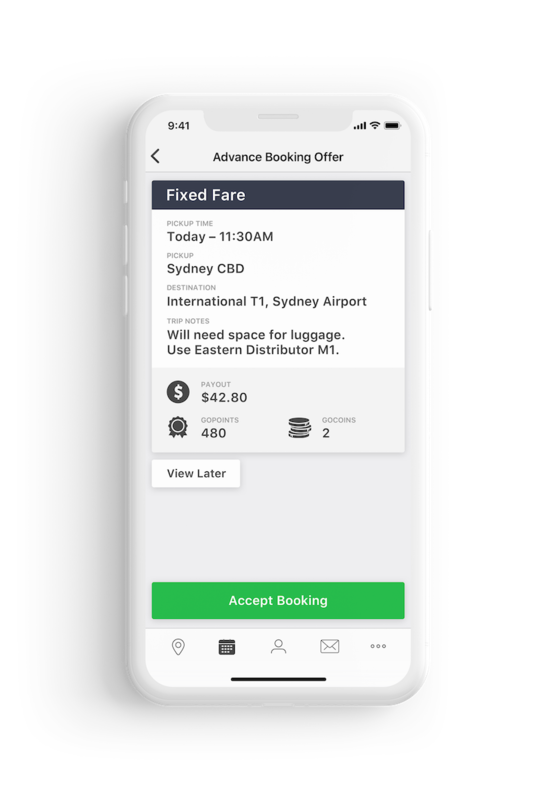 Note – this is only a fare estimate, and is not the final fare or a fixed fare. Look out for BONUS jobs where you can earn even more, everyday! * Gold status and above. 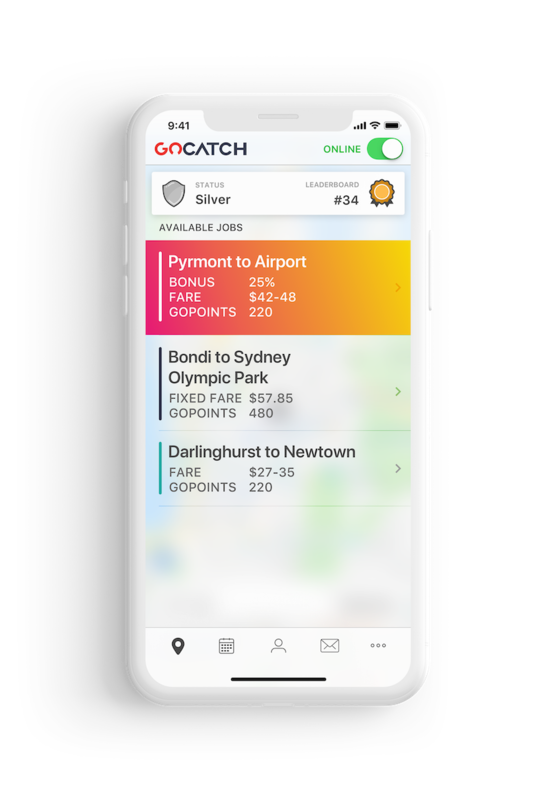 GoCoins are created every time a passenger pays through GoCatch. 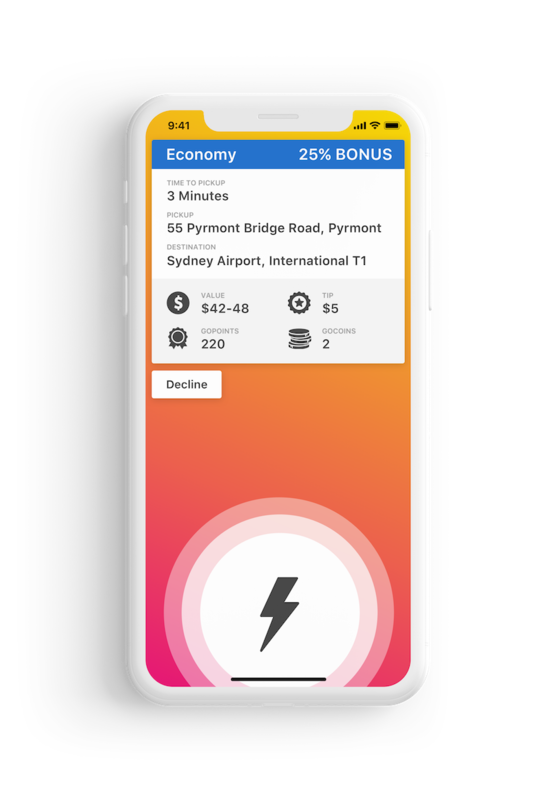 The GoCoin is then shared between the passenger and the driver. The split is determined by an algorithm that factors in the size of the fare and current level of demand. 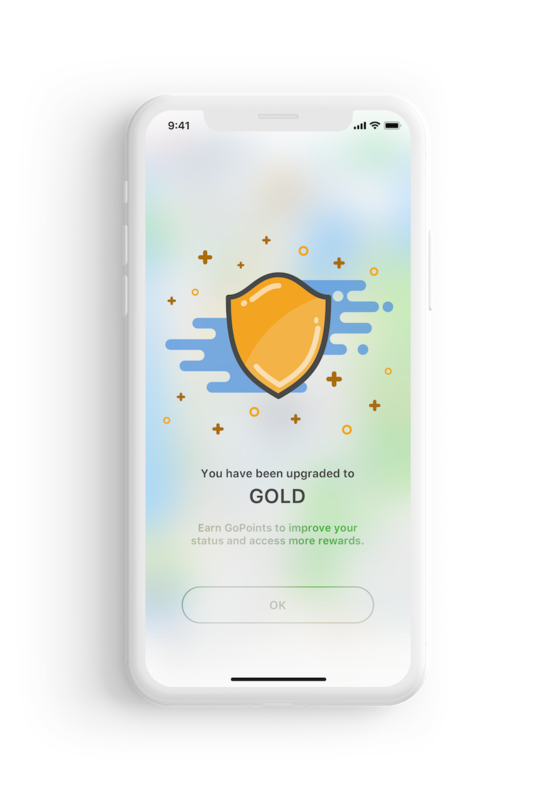 Drivers are also able to make purchases and collect rewards with GoCoins in the GoCatch Shop.